Square is still an upstart in the mobile payment world but it’s showing that even with the approach of a new merchant payment system from PayPal (s ebay) this week, it’s got plenty of momentum on its side yet. The San Francisco start-up said today it’s up to $2 billion in annual payments processed and has activated 800,000 merchants for its payment system, up from half a million in May. And it’s made a key change in the way it process payments to appeal to larger merchants. The news comes as PayPal prepares to show off a new in-store solution for merchants at its X.commerce Innovate developer conference that will place PayPal into direct competition with Square. PayPal has been a powerhouse online, but only recently has it set its sights on being a solution for in-store merchants and retailers, something Square is disrupting with its small mobile credit card swipe dongles and its new cashier and digital wallet software. Square is trying to make sure that it stays ahead of some big names like PayPal, Google (s goog), Intuit (s intu) and cellular carriers, who are looking at enabling more mobile payments and digital wallet tools. In that vein, Square said today it is lifting a limit on merchants that prevented some businesses from immediately receiving all the money they made beyond $1,000 in a week. Merchants had to provide additional verification and work with Square on case-by-case basis to cut back on the amount of time it took to receive the additional cash in their bank accounts. Now, the rule, which was originally instituted to combat fraud, has been set aside, which should be helpful in attracting larger business customers. It’s another gesture aimed at winning over merchants, like the transaction fee that Square discarded earlier. The new rules are another sign that Square is prepping to compete hard in this space. 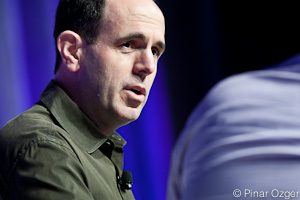 COO Keith Rabois appeared at the GigaOM Mobilize conference last month and said we should expect some more services to roll out this month and in December. Rabois told TechCrunch that Square’s merchants now represent 10 percent of the merchants using Visa (s v) and Mastercard (s ma). And he told AllThingsD that 70 percent of Square users have never taken credit cards before. Rabois has been really vocal about dismissing the challenge from PayPal, which he said has let its brand “atrophy.” But with PayPal finally wading into the much bigger market for in-store offline payments, it’s going to be interesting to see if it can take a bite out of Square. It sounds like there should be room as Square looks at smaller merchants while PayPal will likely tap existing customers and bigger retailers. But overtime, as each company’s ambitions grow, there’s going to be move overlap. 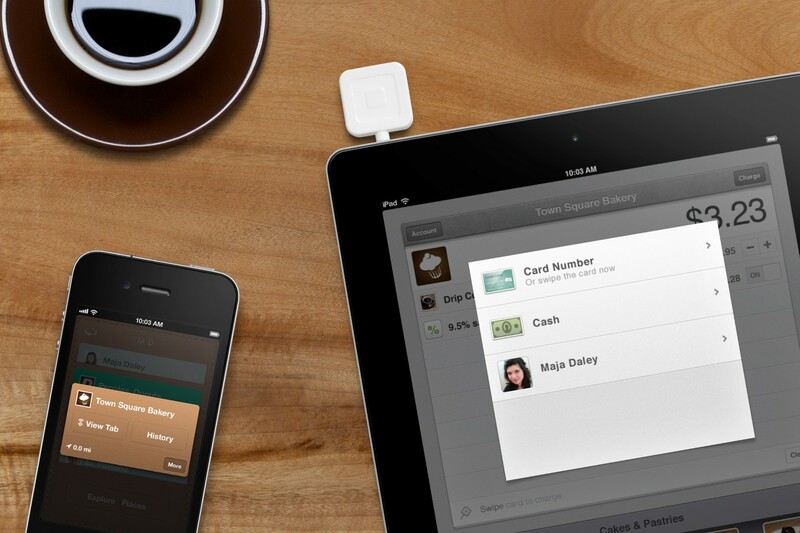 Square, which raised $100 million earlier this year, continues to appear up to the challenge. Hey Phil – sounds like someone broke the rules and limited. From your little unfounded rant you sound like nothing more than a 3 year old throwing a fit. Read before you click. Follow the rules and you’ll be a part of over 100 million HAPPY active users. Or, you can follow the tech news and comment with blatent lies and inaccuracies. Good luck with your life. If PayPal is holding your funds, I hope they keep them. I’m sure your $5.99 is making them millions in interest. And I love that you’re quoting forums. There’s only truth out there. Please make sure you believe everything you read. Go back to your mom’s basement, put your foil hat back on and play your video games. Leave the news to the journalists. Healthy competition is always great for the consumer.